The coming years will define firearms ownership perhaps more so than any other time in our nation's history, and the days of sitting on the sidelines as others perform active roles in fighting for our Second Amendment Rights are over. The National Rifle Association works actively to fight for your gun rights and has many programs to promote firearms training, competitive shooting, hunter safety, youth education and so much more. 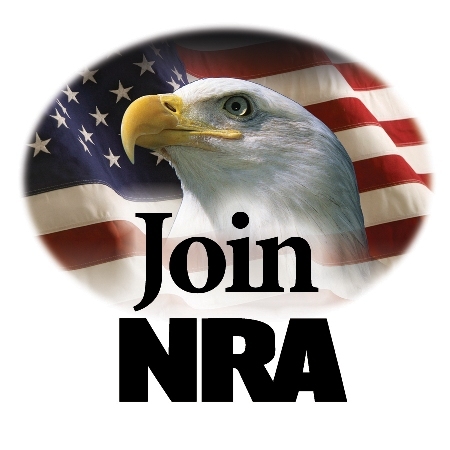 Join the NRA today to help protect your Second Amendment Rights! Click on the image below for a link to the NRA website where you can join or renew your membership and save $10 on your yearly dues! OR, JOIN BY PHONE BY CALLING 1-888-JOIN-NRA.